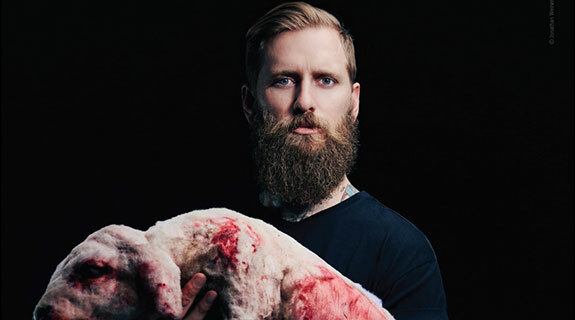 Australian rock star and face of a controversial Peta campaign against the wool industry, Jona Weinhofen, could be getting shearing lessons thanks to a successful crowdfunding project by WAFarmers. PETA has discredited themselves. Using celebrities to bolster their cause due to the individuals influence. They used a fake man made sheep to discredit an industry that, in my experiences, has never produced a sheep that looked like that, in Scotland or Australia. If they want to have any effect at all, use a REAL example. I hope this rock star takes the opportunity to come and experience the industry first hand, and be humbled by what he learns is the reality of the industry. There is no shame in experiencing something that they condemn without ever being in there themselves. Maybe he'll do a new campaign to rebuke his accusations.